Google Maps is continuously creating updates that make it even easier for people and places to connect. 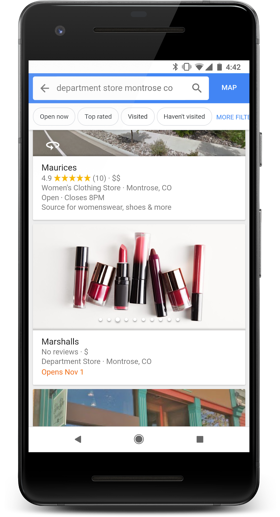 Most recently they’ve released three updates that let customers follow places, discover new shops, and connect with stores through the Google Maps app. With the new updates Android users can now follow places in Google Maps by searching for the coffee shop or store they like and tap the “Follow” button. Once you follow places, you receive news like offers or events from them in the “For You” tap. Selected countries have been able to message businesses via Business Profiles on Google for some time. The idea is to make it easier for people and places to connect, so you can ask for opening hours or find out if a store has your size without even having to call them. Now Google is making messaging with businesses even easier with their most recent update. 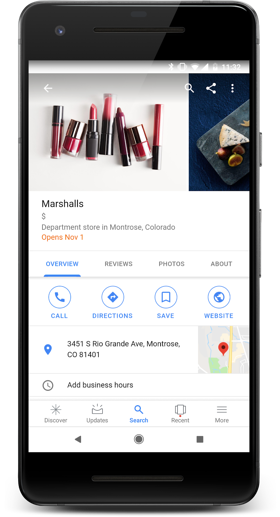 This means that you’ll be able to see your messages with the businesses you connect with via Business Profiles in the Google Maps app. The update works on both Android and iOS and you’ll find your messages in the side menu. If you like to discover new places, Google Maps (Android and mobile searches) will now show you profiles for places even before they open. Just look for the opening date in orange and you can be the first one to try out new stores, restaurants, or cafés. Places can create a free business profile that will appear to people up to three months in advance of opening. The feature is rolling out now and places that want to make sure that their coming soon location is shown on Maps and Search needs to create a Google My Business Profile. If you want to know more about Google Maps, check out our Google blog where we keep you updated on all the interesting updates, features, use cases, etc.